How well do your know your metal? Your favorite metal is probably that which you can wear around your neck, slip on your finger or post in your ear. That would be all of those precious metals like gold and silver formed into jewelry design. It’s hard to imagine that your favorite gold necklace is in the same “metal” family as your stove. Well, the metal that made both of those items started out as an ore that has to be dug up and processed. Some metals are easier to get at and process which is what makes them affordable. It’s those hard to get at metals that become precious. 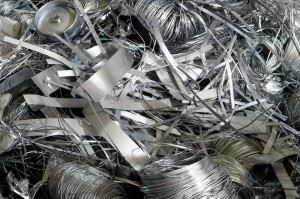 Digging deeper into this metal issue will find that there are two basic kinds of metal: Ferrous and non-ferrous. In the ferrous metal category is pretty much everything made from iron. That’s iron, straight up with no chaser, so to speak. Non-ferrous metal is aluminum and copper. No matter what kind of metal you’re dealing with, it can all be considered scrap the moment it has outlived its usefulness. Naturally, if you have precious metals you probably won’t want to “scrap” them as much as you might want to resell them for a price. But even some of what you might consider “precious” really doesn’t have a lot of value. The same can be said for metal scrap. Back in the day, many small towns would have a scrap metal collector who would roam through neighborhoods picking up metal junk like car parts, aluminum siding, corrugated steel, bicycles, cans, etc. If you were friends with this fellow, you could probably get him to pile your scrap metal onto the back of his truck or wagon and be rid of it. But when the metal man retired you were stuck with dealing with those bulky objects for yourself. Times have changed and there are now professional junk haulers like Junk King Kansas City who make it their business to provide dependable pick-up service to remove all your scrap metal and/or other junk. Filling up a truck with scrap metal is easy for the professional junk haulers because they have the muscle and the loading space. It’s probably been harder for you to get rid of those bulky objects because you lack those two key elements. Sure, you can put an old fridge or stove into your garage where it becomes part of the “out of sight, out of mind” collection in your home. But is that junk really “out of mind?” Anytime you need extra space you’re going to be asking, “When are we getting rid of that junk?” Well, that time can be now when you hire the services of a professional group of junk haulers like Junk King Kansas City. Even though you might have one large piece of scrap metal to get rid of you don’t have to stop there. Think about how you would fill up that truck. Are there some pieces of furniture you can get rid of? Do you need to toss out some busted toys? What about some started but never finished projects? All of that can be loaded up and tossed out. Start with your scrap metal and finish with the rest of your junk. For the best in Kansas City Scrap Metal Removal or any other type of junk removal, simply call 1-888-888-JUNK or book a free on site estimate online. This entry was posted in junk king kansas city, kansas city hauling, KC Junk Removal, Scrap Metal Removal and tagged get rid of scrap metal, how to get rid of scrap metal, kansas city scrap metal removal, KC Junk Removal, KC scrap metal removal, scrap metal pickup KC on December 23, 2011 by Mike Stroud. Last updated August 2, 2017 .